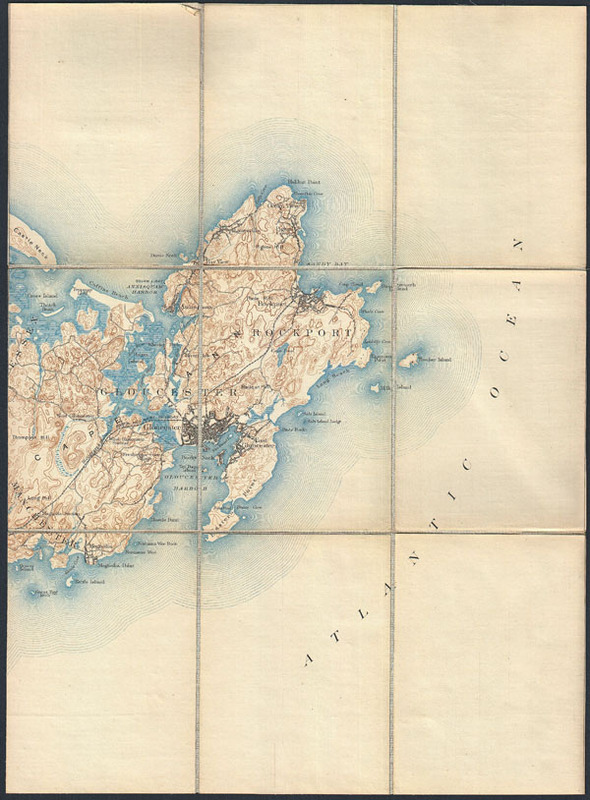 This is a rare example of the c. 1887 U.S. Geological Survey map of Cape Ann. Extends eastward from Manchester and Essex to include Gloucester, Rockport, Lanesville and Annisquam. Offers copious topographical detail as well as some submarine detail as well as towns, railroads, and some individual buildings. This map was originally dissected and mounted on linen by the Old Corner Book Store of 27-29 Bromfield Street, in Boston Massachusetts. Prepared in this format by the Old Corner Book Store, 27-29 Bromfield Street, Boston. Very good condition. Disected and mounted on linen in nine sheets.